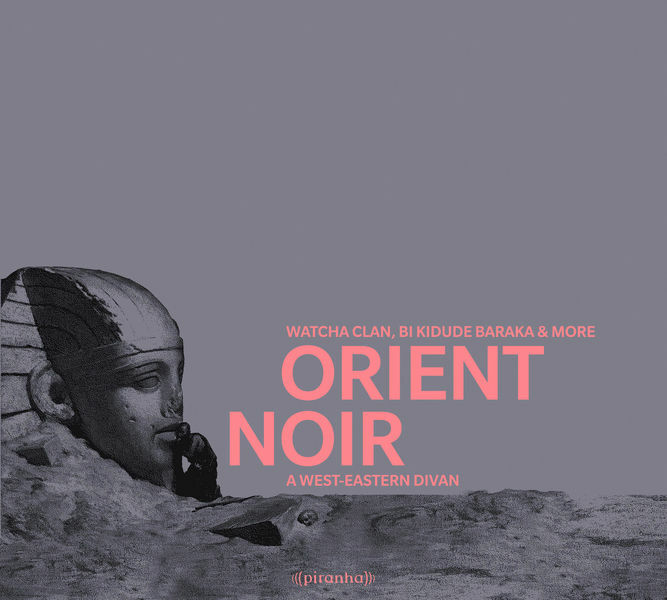 Piranha Muzik have just announced that they are to release the compilation album "Orient Noir - a West-Eastern Divan" (CD-PIR2545) on 17 September 2012. "tender oriental rhythms and mesmerising melodies"
"Orient Noir" presents a collection of tender oriental rhythms and mesmerising melodies, tastefully selected by the renowned music curator and collector Dr. Bertram Nickolay. Elegant Arabic-oriental traditions meet the rich heritage of Jewish-oriental music and create an east-west divan of 14 outstanding musical pieces. Orient Noir features a variety of Nubian wedding dances, Turkish-Sephardic chants and Oriental dance music from Lebanon, as well as typical patterns of popular music like North African Chaabi music and electronic instruments finding their way into today's oriental music. Watcha Clan (Marseille, France) renew Ofra Haza's old Yemenite hymn and world pop-hit "Im Nin'Alu". Bi Kidude Baraka, the Zanzibari Taarab singer who has just announced her retirement from live performances, sings the melancholic Taarab classic "Pakistani" from Eastern Africa's shore to the Indian Ocean. Also included are from Beirut, Lebanon Ihsan Al-Mounzer; from Cairo, Egypt Mahmoud Fadl, Salwa Abou Greisha and Samy El Bably; from Jerusalem Ruth Yaakov; from New York City Frank London and Susan Sandler; from Oran and Marseille Maurice El Médioni; from Rabat and Ashkalon Emil Zrihan; and from Vladicin Han, Serbia Boban i Marko Marković. The bonus title features Efendi's Garden's oriental Krautrock rarity from the 70s.